The Throwboy brand is synonymous with unique, high quality throw pillows made for self expression. Started in 2007 as a one-man pillow factory in Seattle Washington USA, we became the home decor staple among the internet savvy with our trendy, finely crafted designer products. The idea for Throwboy formed after Roberto Hoyos hand-sewed 7 pillows shaped like computer icons as a gift for his girlfriend. When photos of the pillows went viral online causing Hoyos' website to crash, a business opportunity was born. With a built-in audience, Throwboy took off and went on to define a new kind of throw pillow. We built upon the original idea and continued to introduce more pillows inspired by digital lifestyle including the first Emoji Pillows. 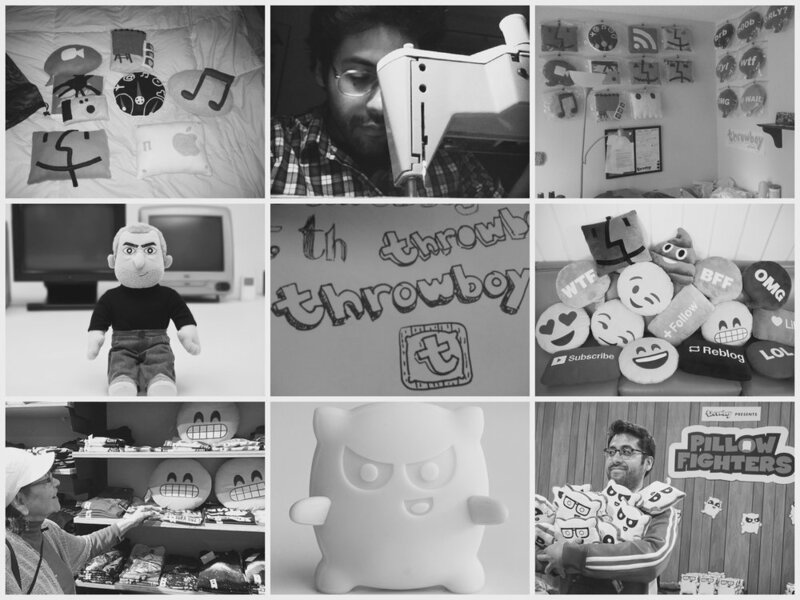 From there we expanded into multimedia with our Pillow Fighters brand that includes apps, comics, stuffed figures and more. We now collaborate with select top brands for special edition Throwboy pillows and Pillow Fighters, while infusing our signature style into each collection.